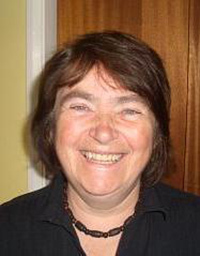 Sheila started volunteering at Nepacs’ Durham visitors’ centre in 1992 and as a trustee she is a member of the Nepacs awards and grants committees, taking a lead role in managing both of these projects. Sheila graduated with an MA in Classics and English Literature from Cambridge University in 1970 and following graduation worked for a London writing and publicity company, before taking on the role of publications officer for the Cambridge Institute of Education. Since the 1980s Sheila has worked predominantly as a freelance editor and indexer for many publishers. Her love of films has led to her reviewing films for internet sites. Sheila’s other interests include travel, food, walking, art and football (a Sunderland fan! ).